Premium glue - This strong glue adopted Non-toxic formula, reusable, non-toxic, harmless ,environment-friendly, great for use in homes, restaurants, bars, offices etc.strong and evenly distributed, easier to catch mice. Thicker cardboard - Using a special cardboard, more thicker and harder, prevent being dragged away by rats. Safe - Natural materials are safe for your family and pets, no chemicals and toxic compounds. Easy to clean up - Didn\'t have to touch the mouse to get it out of the trap - just opened it over the garbage can into a bag - DONE! 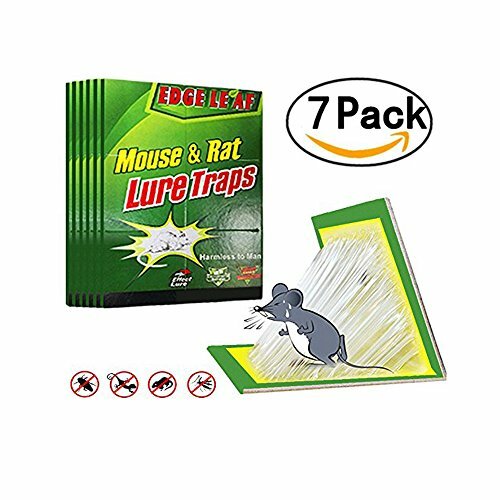 Wide application - Mouse Glue Trap also great for trapping spiders, crickets, roaches in homes, restaurants, bars, offices, etc.